Our bottle coolers and bottle wells are available in a wide range of sizes and with many options including solid doors and a black PVC-coated finish. Whether it’s the compact BW600 bottle well or the large three-door undercounter display cabinet, there’s a Williams back bar model for you. Stylish, efficient and hard wearing, Williams back bar refrigeration is an attractive and functional way to display your drinks. 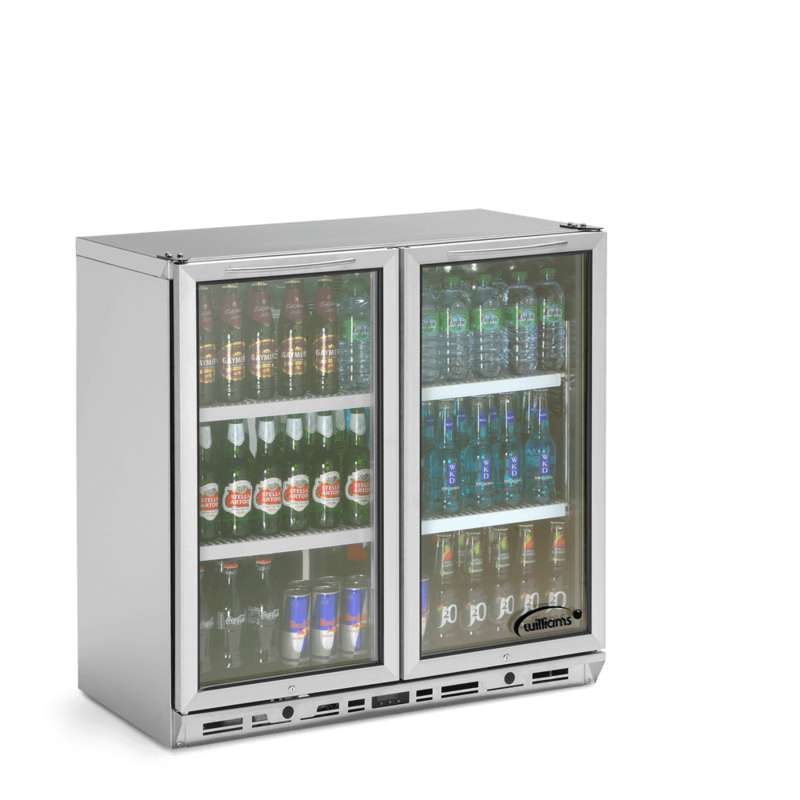 From pubs and bars to universities and sports stadia, these refrigerated low level cabinets are suitable for every back bar application. 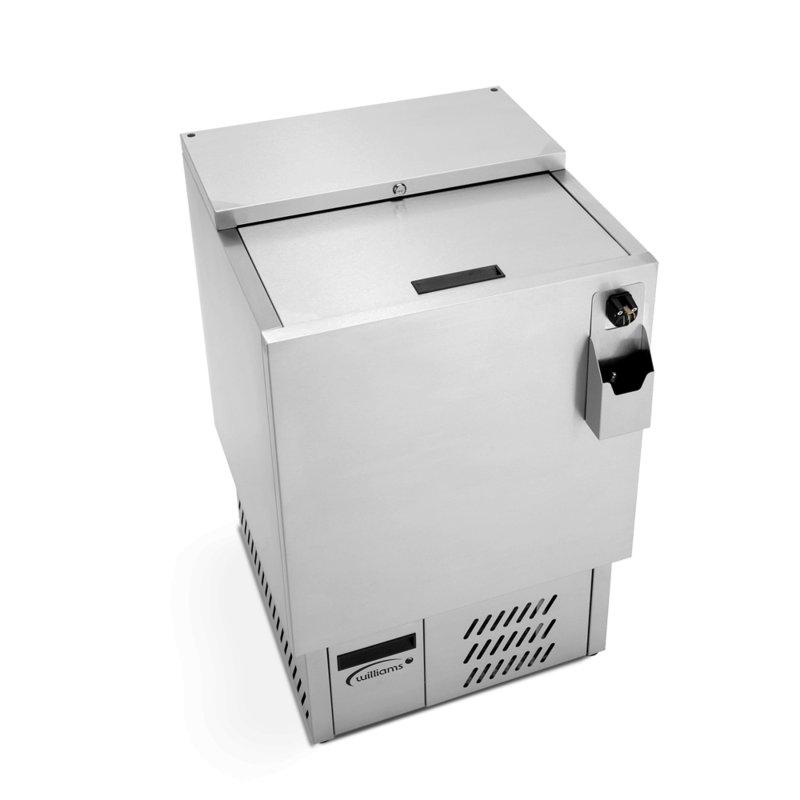 Our refrigerated bottle coolers and bottle wells are designed to cope with the demands of a busy venue, operating efficiently to maintain temperature as doors continually open and close. They’re robust and built to survive a punishing level of wear and tear. Yet they also look stylish and display premium bottled drinks to eye-catching effect. It’s all part of our commitment to refrigeration for the real world. 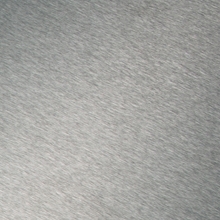 We know that durability is key in the demanding service industry. 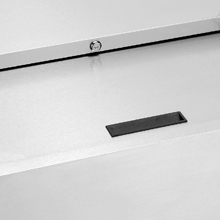 That’s why our back bar cabinets are constructed in our UK factory with a tough, food-safe, stainless steel exterior. Engineered from the ground up they are designed to stand up to the rigours of everyday use in the harshest of environments. We know that no two venues are the same. That’s why our back bar refrigeration is built to adapt to your needs. 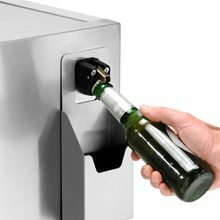 From the 369 litre capacity undercounter bottle display cabinet with adjustable shelving to the compact bottle wells with built-in bottle opener, we’ve a solution for any problem. 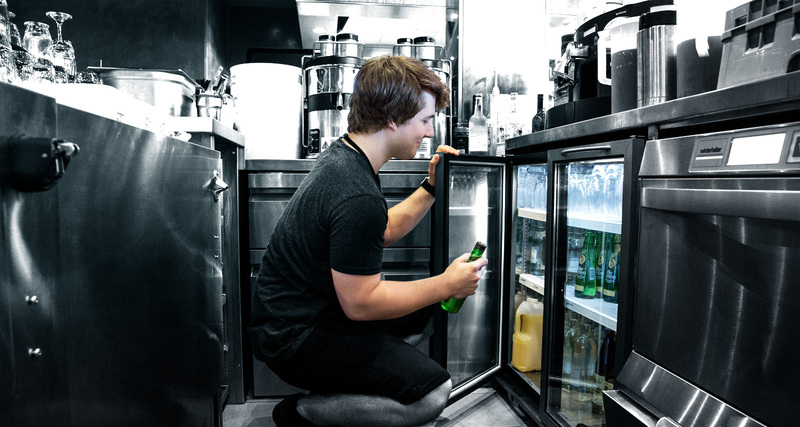 Featuring self-closing, lockable doors and robust lockable lids for added security, our back bar refrigeration will keep your products safe and secure. The quick release drainage function on our refrigerated bottle wells makes emptying excess moisture as simple as possible. Product visibility is key – that’s why our bottle coolers benefit from double glazed doors with ultra-bright, low energy lighting for an eye-catching display. Available as a one, two or three door model, our bottle coolers are capable of storing up to 278 330ml bottles at 4°C to 10°C. 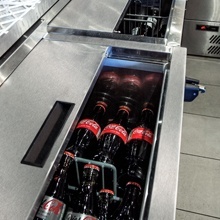 Available in either 600mm or 900mm widths the hard wearing open top bottle cooler is ideal for effective bars and restaurants with high volume bottle sales.